approximately 1.75 inches (4.44cm) in diameter. 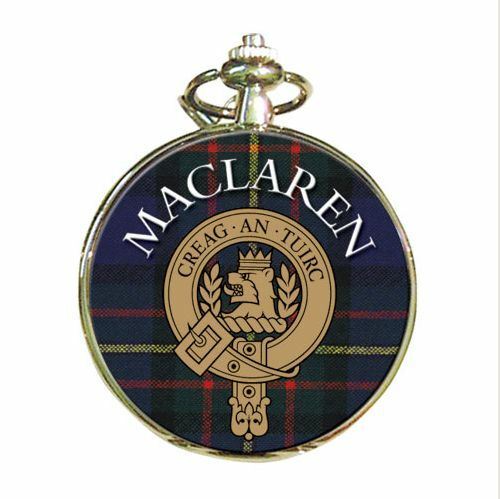 Clan and Tartan themed Round Shaped Pocket Watch is expertly made from Silver Plate and has a stylish Clan Crest motif and authentic Tartan background for that Clan. Each piece is exquisitely handcrafted in high detail. 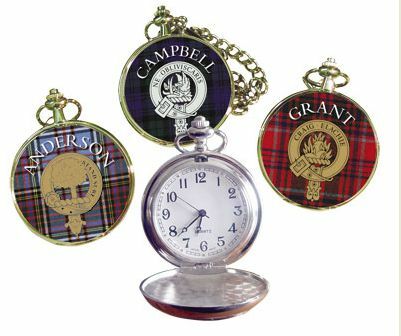 Clan and Tartan themed Round Pocket Watch measures approximately 1.75 inches (4.44cm) in diameter. It comes with a long elegant stylish chain that measures 18 inches (45.72cm). 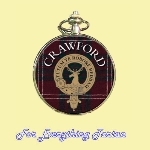 This beautiful and unqiue Pocket Watch is a perfect gift for any occasion. 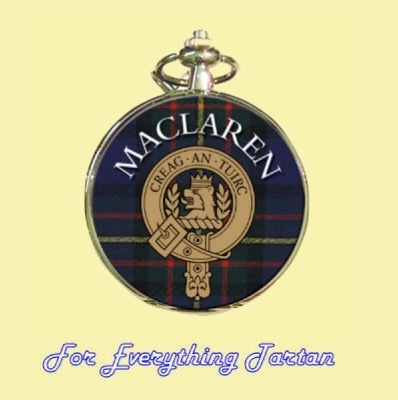 This item is made in and shipped from Scotland. Your item will be shipped from this address. Please allow 14 days for your item to be made before it can be sent to you.